Please join us for this Wholehearted Activity retreat with Zen priest and yoga teacher Shokuchi Deirdre Carrigan. Please note that meditation instruction will still occur at 9 am, but there will be no public program after that. What is the backward step that illuminates the self and how do we learn it? During this one-day retreat, we will together take up traditional spiritual practices of sitting meditation, yoga and community work in ways that will help us to see all of daily activity as opportunities to wholeheartedly express our life. Practicing silence and stillness in meditative posture, we can come to realize the very mind that is not separate from ordinary mind, and through our work together, we can experience the ultimate stillness and silence of zazen that is the ground of everyday activity, the ground of being. The entire retreat day will be devoted to practice, including mealtime. We ask that you bring a bag lunch and commit to the full retreat schedule. Tea and an afternoon snack will be provided. Please bring comfortable clothes for meditation and yoga practice. Appropriate to all levels, no previous experience required. BZC offers retreats on a sliding scale basis to allow participants to pay according to individual means. Please consider giving at our sustaining rate, which directly supports inclusive community attendance on this retreat. Registration closes Friday, April 26 at 11:59 pm. Partial scholarships are available for retreats such as this one. To apply for a scholarship, please use this link and wait for approval before registration. Scholarship applications are due by Wednesday, April 24 at midnight. 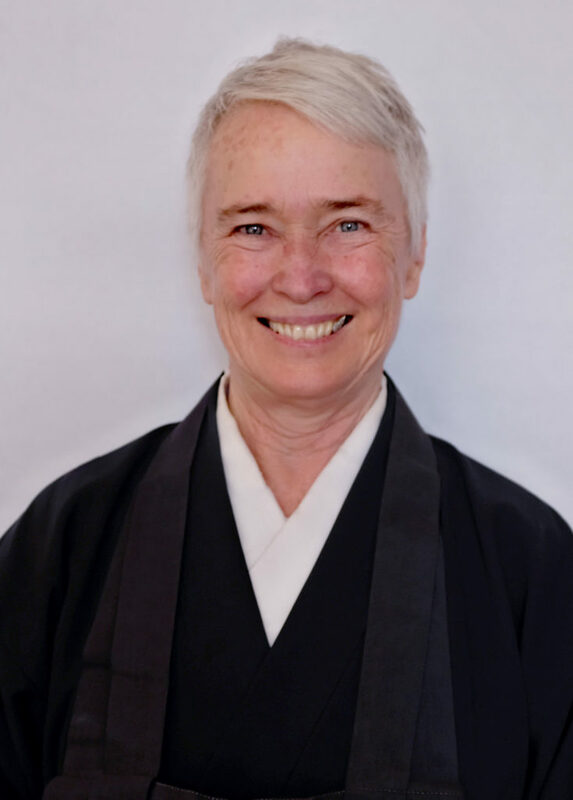 Shokuchi Deirdre Carrigan received training in Soto Zen practice as a resident of San Francisco Zen Center for 12 years, was ordained as a priest in the Shunryu Suzuki lineage by Tenshin Reb Anderson in 2010, and was Shuso (head monk) with Abbess Eijun Linda Cutts in 2014 at San Francisco Zen Center/Green Gulch Farm. She has been teaching yoga in the San Francisco Bay Area since 1988, as well as co-leading Zen and Yoga retreats at Tassajara and Green Gulch Farm since 2002.